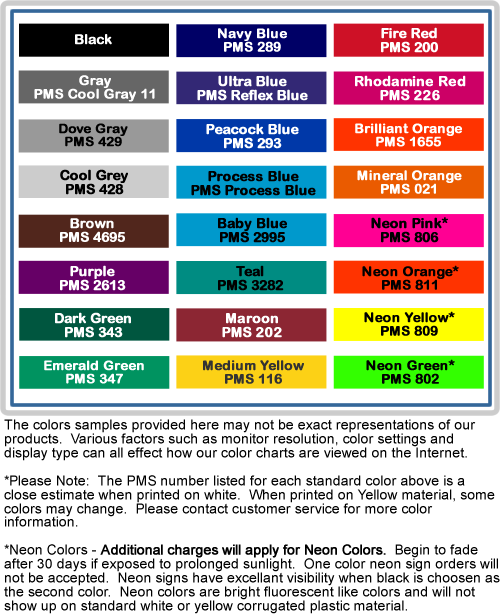 Wholesale Yard signs from MySignPrinter.com. 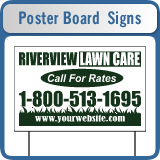 Sell your customers on yard signs. 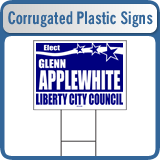 Yard Signs can be used for advertising to promote businesses, events, or political campaigns. Printed from a state of the art screen printing process. Our corrugated plastic signs are screen printed with environmentally friendly UV inks for durability. Don't waste precious time making your customers signs out of vinyl take advantage of MySignPrinter.com's dealer program. Sell your customers on Corrugated Plastic Signs. These signs are lightweight and durable. Signs are fluted which gives sturdiness. Wholesale Poster Board signs for those customers looking for paper signs. Poster boards are poly coated for weather resistance. Fold and staple these signs to the u-frames. Get your blank yard sign material. 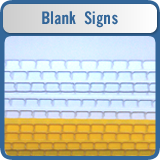 Whether your customers are looking for corrugated plastic or poster board signs, you can buy your sign blanks here.